With spring here brunch season has officially begun and its got me saying YIPPEE! Brunch is one of my favorite spring weekend activities because, not only does it usually involve great food shared with family and friends but, it can also include some happy hour fun in the sun. 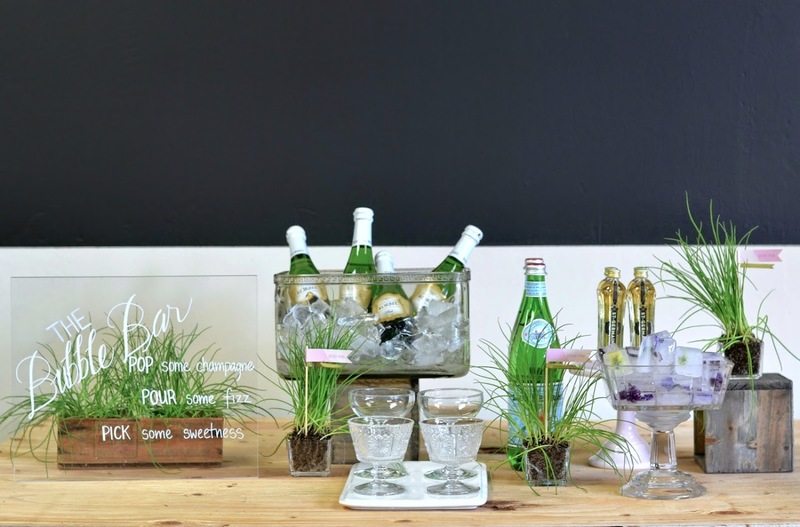 This spring season, why not make your happy hour especially happy adding a DIY bubble bar to your brunch soirée? The Mimosa is the typical go-to drink for DIY brunch bars. 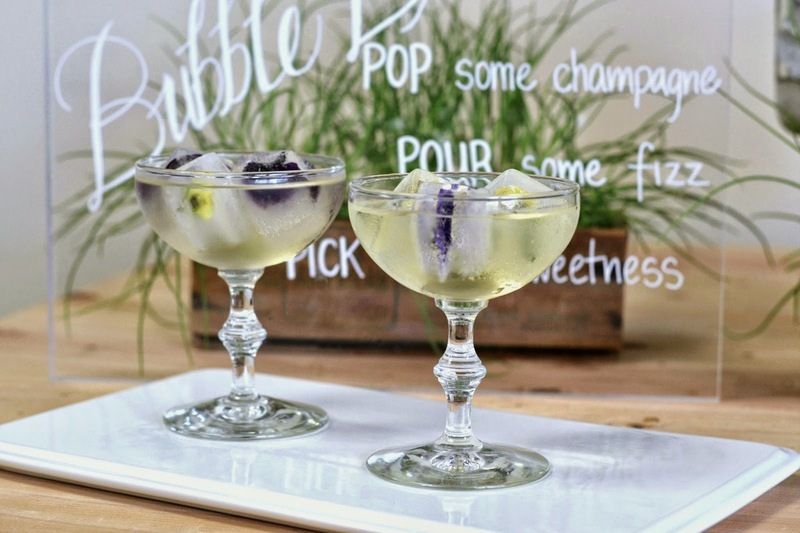 Its easy to make, sweet and of course you cannot forget the refreshing bubbles! Thus looking for something a little stronger but still as sparkly, I found a fabulous floral alternative, The St Germain. St. Germain is an aperitif liquor made out of Elderflowers, perfect for getting the pallet ready for savory meals like brunch. When paired with equal amounts of bubbles and fizz, this signature cocktail concoction becomes the sophisticated sister of the Mimosa. There are couple of tips to make note when crafting this drink. Order is essential. Never start the drink by pouring the St. Germain liquor portion first for this will prevent the drink from mixing well. The ideal pour recommends to add the St. Germain liquor second, sandwiched in between the bubbles and fizz of your choice. Customization is key. The St. Germain can be made with a variety of spirits and carbonated waters. 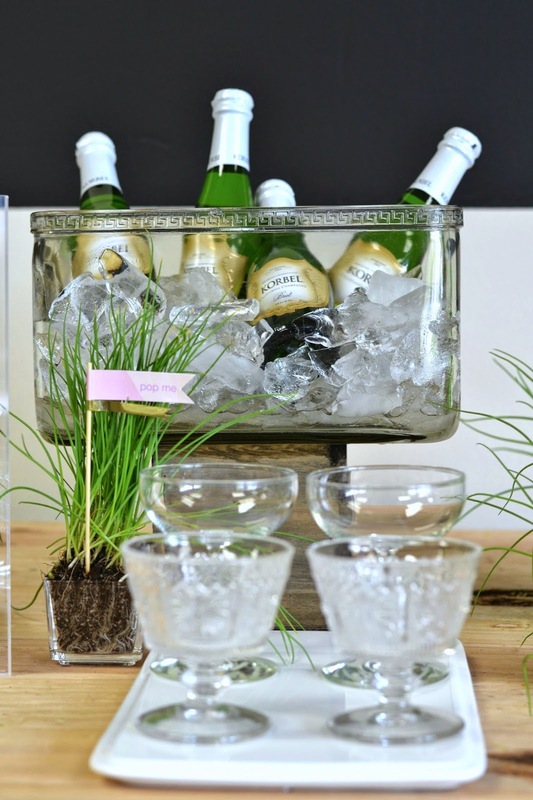 Substituting champagne with sparkling wine can give the drink a sweeter punch. Opting to use sparkling water versus club soda can open up the drink to hints of fruit flavor. 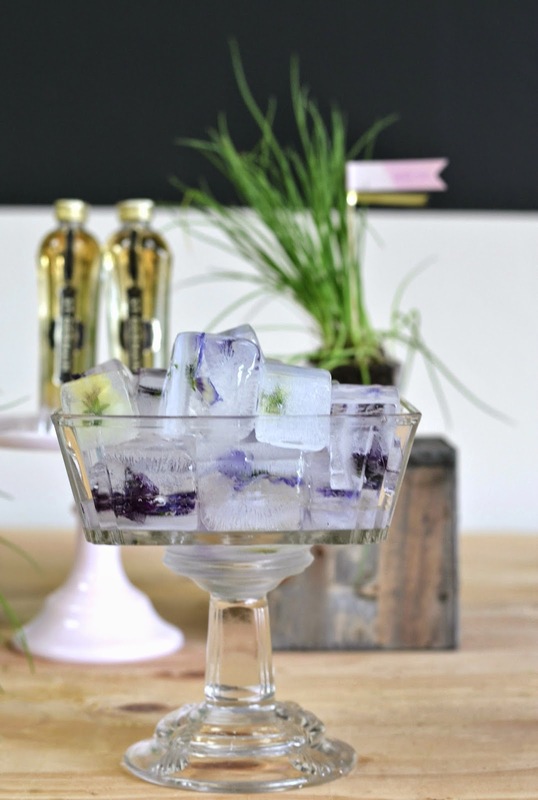 If you are looking for a floral touch, pay homage to St. Germain's floral history using edible flowers as a garnish. 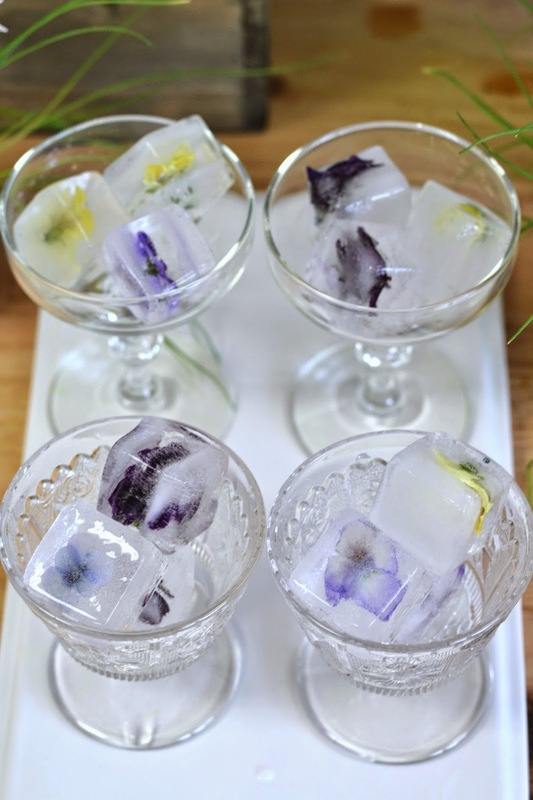 Edible flowers can also be used to make homemade floral ice for a darling drink twist. 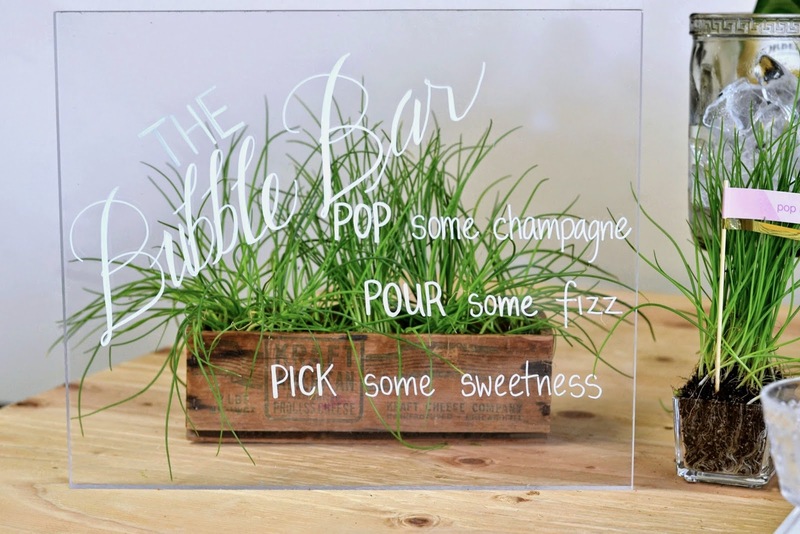 For your DIY Bubble Bar display, make your set-up swoon worthy by incorporating simple signs and labels. Bella Carta Studio's design guru Karla Randolph recommends using easy paper printables for labels. Some scissor work, a little adhesive and viola. 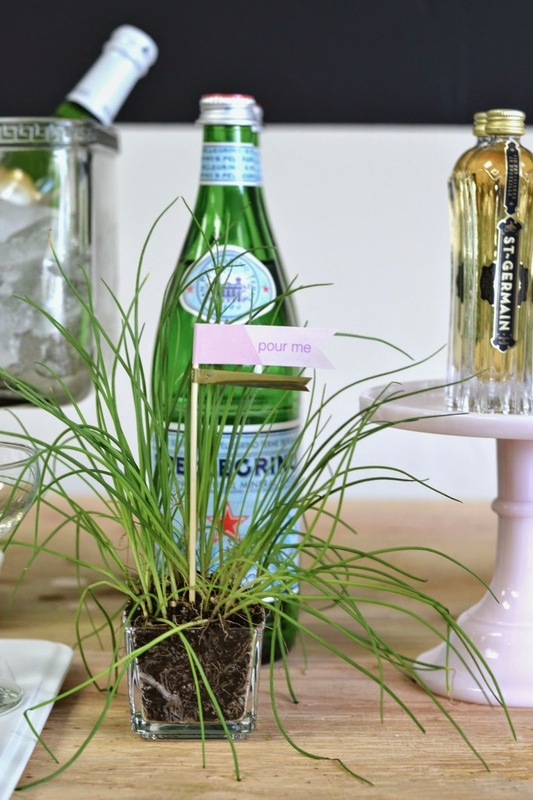 I mean how cute are these Pop Me, Pour Me, Pick Me labels!? (Get some adorable Happy Hour printables HERE) A bar menu or instructions is also a big do. Giving the shabby chic chalkboard look a fresh new spin, Karla suggests shopping for an acrylic option. Affordable and available in many colors at your local hardware store, this sign can easily come together using paint markers, stencils and a steady hand. Whether your planning for those spring holidays, like Easter and Mother's Day or those spring celebrations like bridal and baby showers, a DIY bubble bar is a simple festive option surly to be a brunch time hit! get my State of Grace recipe HERE and my Lillet Rose recipe HERE!